Grow critical thinking and creativity skills with the new LEGO MINDSTORMS EDUCATION EV3 EXPANSION SET. Campers will participate by demonstrating the projects they build. 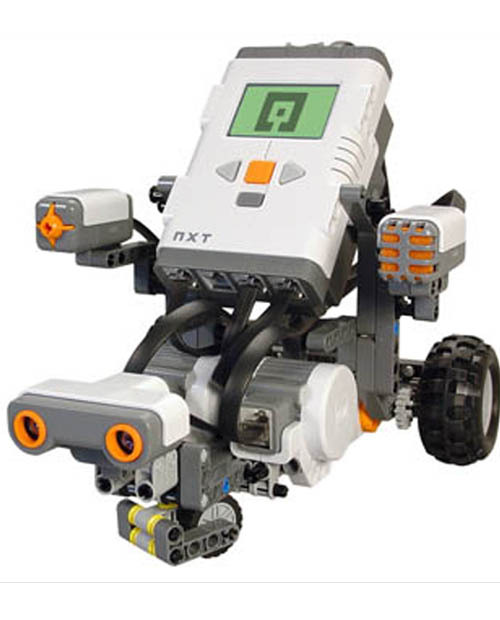 Topics include: Building robots with Lego?s; Programming basic robotic commands to include motion, sensing (sound, touch, and light), and announcements, using gears to reduce or increase torque, and combining building and programming by the teams to complete a totally automated production line. In addition, the projects will include building and programming a robot to navigate a maze. *Space is limited and on a first come, first served basis and all campers are expected to cooperate and share. Note: All campers must complete a registration form, emergency contact sheet, liability release and health history forms. Please inquire when registering. Please send along a beverage and a non-perishable snack with your camper. 2. Please call 1-800-377-5222, ext. 7495 for registration details.